A Frame Around Infinity – What? How? Why? A good friend once told me she felt her life was like a story, and asked me if I didn’t agree. Admittedly, her life was pretty exciting. Up to that point, she’d already starred on a TV show, travelled much of the world, and hung out with interesting and eclectic people, with plenty more of each still to come. If a story about a character such as her did exist, I’d certainly read or watch it, if for no other reason than the vicarious thrill of a life so much more dramatic than my own. Yet, I didn’t at all agree that her life – or anyone’s – was like a story. “Not even memoirs and biographies are real life, even though they’re drawn from events that really happened,” I replied, “because real life is governed by unpredictability, randomness, luck, and chance. A withering look from my friend stopped my disagreeing any further in that moment. She would have her story-ish life despite me and to spite me, if necessary. But eventually, she allowed me to further explain how, in my opinion, a story more a confining frame placed around real life to impose order, meaning, and sense. 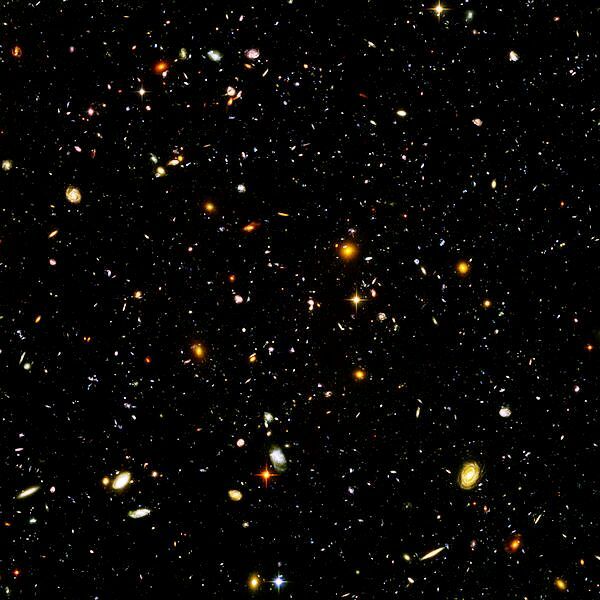 Hubble Ultra-Deep Field image of galaxies in the Fornax constellation, composited from the Hubble Space Telescope. Even if someone is a fatalist, believing everything that occurs in life is the act of an omniscient supreme being or otherwise dictated by some pre-determined Universal plan, the timescale of the average individual (let alone all of humanity) is too long to conceive of this plan in its entirety. And so even if such a plan exists, philosophically, since we can’t perceive it, it can be argued to not really exist at all, much like the tree that falls in a forest with no one to hear can be argued to make no sound. 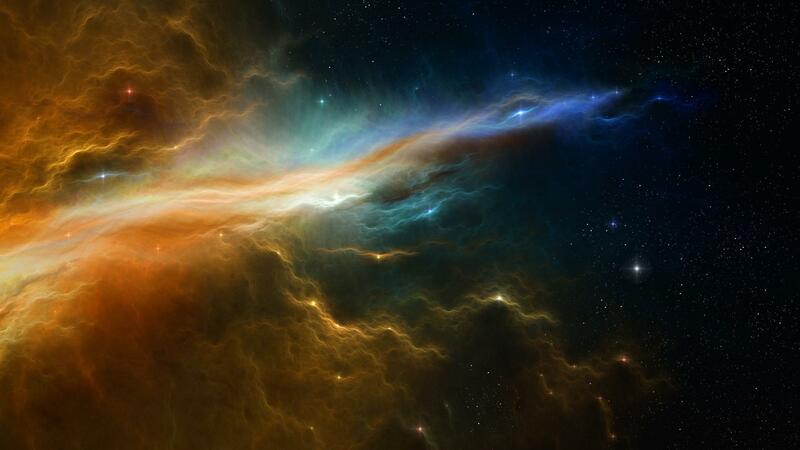 As a result if this, life, in terms of what’s possible and what’s realistic, becomes infinite. Stories, on the other hand are finite – they are infinity within a frame. They’re bounded by physical constraints – page- and word-counts, among others – and also by subject and structure: combining a specific story premise with a specific character or set of characters will produce only a limited number of logical outcomes. As well, a story belonging to genre X will follow a noticeably different course than one of genre Y. Everything that occurs in a story has a purpose, and a writer must know the purpose of everything. Real life, meanwhile, is notoriously unreliable at following dramatic and character arcs, let alone a coherent sequence of events. 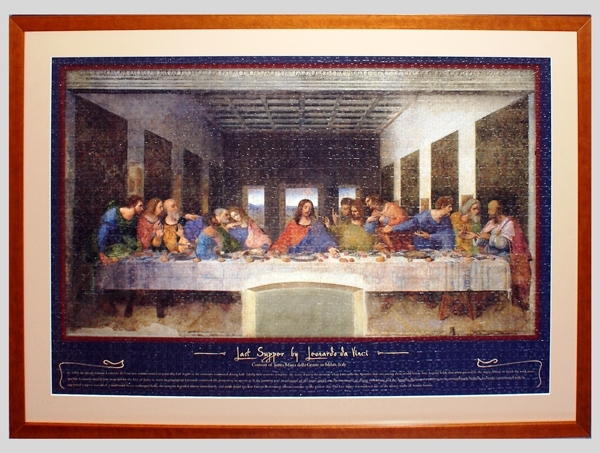 Framed puzzle of Leonardo da Vinci’s Last Supper. For all that they’re meant to portray real life, stories are actually quite contrived, like a puzzle (a puzzle set within a frame) where every piece fits perfectly together to reveal a picture of something that itself is just a representation of something real. Only faith can reassure a person that there’s a greater meaning to life; even then, who knows if we’ll ever find out what the point of it all really is. For a story, however, the presence of meaning is unquestionable; it’s what makes a story what it is, and allows it to exist in the first place. For me, stories aren’t real life, but they help me understand it, because stories are what make the world go ’round. Everything I write, through the process of harnessing what’s possible, reducing the unexpected, and assembling the pieces as only they can be made to fit, offers me a little more insight into the larger, unknowable whole. I agree – the story is more about imposing the order. And I’m the opposite of a fatalist – I believe almost everything that happens is contingent. Except in a few extremely constrained circumstances, I don’t believe in natural necessity. So I totally get the frame around infinity. I do think, however, that we experience much of our lives as narratives, even though that’s not the way the universe really works. I think we do that because it really helps for things to have a beginning, middle and end. We need shortcuts for making sense of things, otherwise, all we’d ever have time to do is sit and ruminate. I agree – we do apply certain elements of story to our lives (e.g. beginning, middle, end, hero, villain, etc.) and that it’s useful to help us categorize and contextualize our experiences. However, it’s also good that life doesn’t follow a true dramatic arc, for it would become pretty predictable and limiting pretty quickly whereas in real life, that truly ANYTHING can happen, even that which wasn’t alluded to in Chapter One.